IDAHO – Regence BlueShield of Idaho will now offer members a mobile application called Wellero™ that allows them to pay for health care services before leaving their provider’s office. Wellero’s app is completely HIPAA and PCI compliant. There are no surprise bills in the mail later. Members leave each office visit with no outstanding payments or bills. Some members may even receive a prompt-pay discount from participating providers. Costs are transparent to the member up front. Regence members can download the Wellero app for free. The app is easy for health providers to use as there is no need to purchase any new software or equipment. Instead, the consumer’s smartphone accesses the Wellero system directly for ease of use. 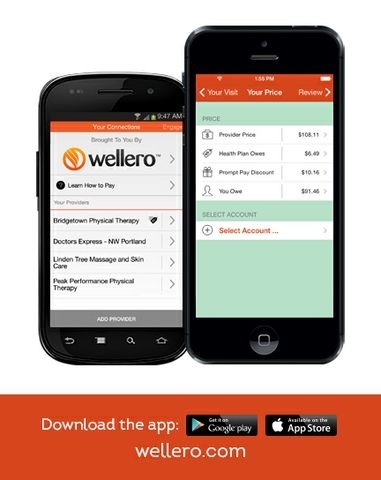 The Wellero app is now available in the Apple App Store™ and in Google Play®. “We partnered with Wellero because we saw the need to provide the tools that made clear the member’s out of pocket cost at the time of service,” said Dr. Popiel. Wellero currently has several providers signed up in Idaho. Wellero is currently inviting additional health care providers in the Regence network to join at no cost to offer their patients streamlined mobile-pay technology. Consumer copay and coinsurance are collected at the time of the service. Wellero checks the consumer’s insurance eligibility at the time of service, saving the provider administrative time and effort. Wellero reduces claims paperwork and billing errors for medical providers by applying health plan clinical editing rules at the time of the service, which can increase administrative efficiencies and reduce lost revenue from rejected claims. To learn more, visit www.Wellero.com. Regence BlueShield of Idaho is a leading health plan in Idaho with more than 145,000 members, offering health, life and dental insurance. Regence is the largest health insurer in the Northwest / Intermountain Region, serving more than 2.3 million members as Regence BlueShield of Idaho, Regence BlueCross BlueShield of Oregon, Regence BlueCross BlueShield of Utah and Regence BlueShield (selected counties in Washington). Each plan is a nonprofit independent licensee of the Blue Cross and Blue Shield Association. Regence is committed to improving the health of our members and our communities and to transforming our health care system. For more information, please visit www.regence.com or www.twitter.com/RegenceIdaho. Wellero™ is part of the Cambia Health Solutions family of companies. Wellero puts a powerful retail healthcare application in the consumer's pocket. This cloud based mobile point of sale solution gives consumers access to the information they need to complete healthcare payments and transactions at the time of service. To learn more, visit www.Wellero.com.